The flight shows that the aircraft can operate in the highest Arctic, company Sukhoi says. 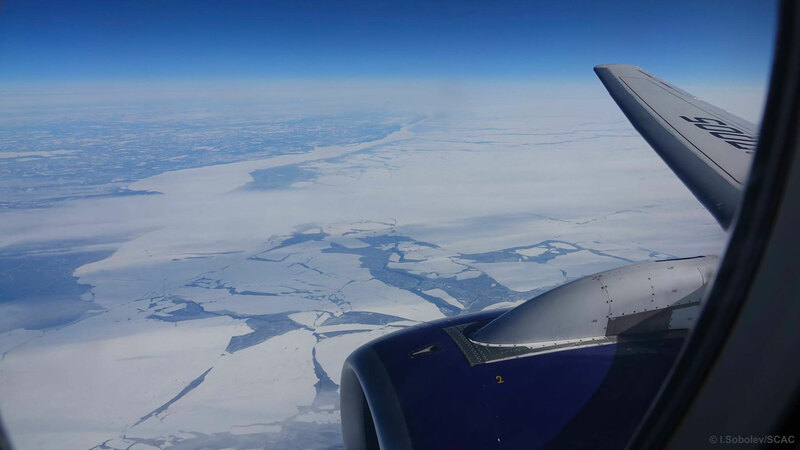 As the sun was making it back to the Arctic archipelago after months of winter dark, a Russian Sukhoi Superjet 100 was for the first time ever making it over the snow-covered mountains of Spitsbergen and successfully landing in the Longyearbyen airport. The flight took place on the 21st March and the aircraft returned to Moscow that same day, Sukhoi informs on its Facebook page. «This expedition allows us to extend the base limitations of the SSJ100 to 78 degrees north», the company says. «The Arctic is in itself a unique place and therefore execution of flights in these polar regions is very specific». According to Sukhoi, navigation systems can be affected during high Arctic flights and the aircraft pushed towards the limits set by the manufacturer. The Sukhoi Superjet 100 is applied by several north Russian airline companies, among them the YamalAir which has a fleet of seven SuperJet 100-95LR. In early 2017, Norwegian businessman Ola Giæver said he considered to acquire the Superjet for regional flights in northern Norway. The Superjet 100 is aircraft manufacturer Sukhoi’s new regional twin-engine jet airliner has a maximum seating capacity of 108 people and a range of up to 4,578 km. The first liner of the kind was delivered in 2010 and a total of 154 aircrafts have since been sold around the world.